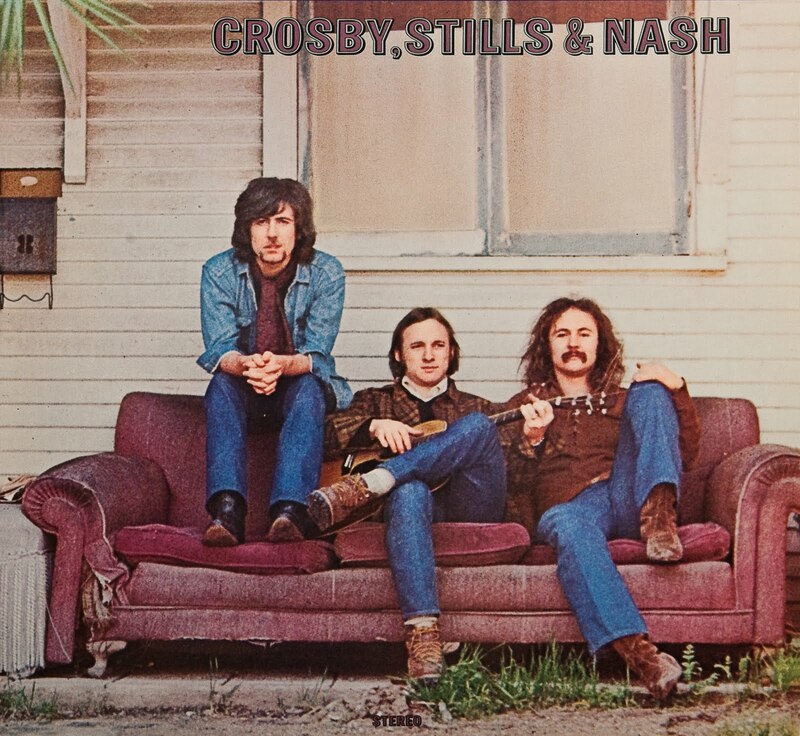 On 28th June 1969 the self-titled album by Crosby, Stills & Nash entered the US charts. It reached #6 and stayed around for an impressive 100 weeks. Two singles were released – Nash’s jaunty ‘Marrakesh Express’ and Stills’ extended ‘Suite: Judy Blue Eyes’ – both reaching the Top 30. So much for the data. What makes this album so important is not revealed in the above statistics. David Crosby had already tasted fame, fortune and fandom with the massively influential Byrds. Graham Nash was an integral part of British Invasion band The Hollies, while Stephen Stills was part of Buffalo Springfield with Neil Young. Naturally they were immediately labelled a ‘supergroup’, though in this case the epithet was apt. By the time they joined the throng at Woodstock their self-titled debut album had been out almost three months and in the charts for almost two. 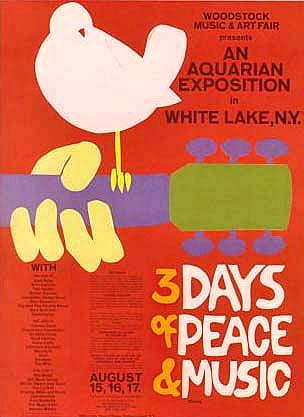 Yet they were not exactly road-tested when they performed for those hardy souls who had made it through to 3:00am on the final Monday morning on Max Yasgur’s farm. Crosby: This is our second gig. Stills: This is the second time we’ve ever played in front of people, man. We’re scared shitless. Although time has not been kind to a few of the songs – ‘Marrakesh Express’ sounds rather twee – much of the album holds up well. Despite a post-apocalyptic lyric that is very much of the time, ‘Wooden Ships’ has a timeless electric groove and rolling sway that still transports. ‘Long Time Gone’ remains a poignant and engaging observation on the assassination of Robert Kennedy, while the psychedelic undertones of ‘Pre-road Downs’ compliment the acoustic ‘love songs’ nicely. The cover is down-beat. The three musicians sit on a careworn couch in front of a simple weather-board house. No costumes, no posturing, no frippery. Not a string of beads in sight. Tones are subdued and earthy. Nash and Crosby stare down the camera lens; Stills’ attention is slightly off-centre, maybe caught by a pigeon on the fence. There is a genuine lack of pretension here that suits the acoustic core of the music down to the ground. This is us, these are our songs. We hope you like them. The voice, that instrument of our humanity, is what dominates the entire album. The harmonies are intricate, tight and often joyous – as in the coda of ‘Suite: Judy Blue Eyes’. This is the sound of three accomplished singers melding their voices together in the service of each other’s songs. Maybe that was the true spirit of hippie-dom; a willingness to subjugate image and ego in the service of the song. Love this album….the harmonies still make me smile when I here them. Certainly an anti-flash set of outfits and yes, I think you’re right. Choices were made to produce that faded, autumnal air in the photo. Sound of my childhood, as a grown-up though I’m more of a ‘Deja-vu’ man. I’m probably with you there. Neil Young adds a welcome astringent touch to balance Nash’s whimsy. And ‘Carry On’ is a stone classic. “This is us, these are our songs. We hope you like them.” – That’s a fine motto for bands to keep in mind. Checking the egos at the door helps too!